Queen Elizabeth II's husband emerged "shocked and shaken" but unhurt from a car crash that flipped his Land Rover on its side. A nine-month-old baby who was in the back seat of the Kia hatchback involved in the collision was uninjured, while one of the two women inside hurt her wrist, local police said. Do I need to reapply for a licence at a certain age? In Ireland, a person's age determines the driving licence term they can apply for. For anyone who applies for a licence from age 60 to 66, their licence will expire when they reach age 70. Drivers aged between 67-69 and granted a licence will have it for three years. Any drivers wishing to apply for a licence over 70 will have either a three-year or a one-year licence. This is subject to a certification of fitness to drive by a GP. The rules in Britain are slightly different to Ireland as motorists who reach the age of 70 are required to renew their licence and must do so every three years thereafter. There is no driving test or medical examination and it is down to drivers to declare whether or not they are fit to drive. Are older drivers more likely to crash? A Consultant in Geriatric Medicine at Tallaght Hospital has said that the media tends to "disproportionately" report car crashes involving older people. Speaking on RTÉ's Today with Sean O'Rourke, Des O'Neill said that older drivers are involved in fewer crashes, with the biggest risk group those aged between 18 and 25. He said: "Who has the best reflexes, eyesight, all those areas? It's actually younger people, who have the most crashes, so it's actually around strategy and tactical thinking. "The problem here is that people tend to have a very simplistic view that it is all about reflexes and eyesight, in fact it is about not getting yourself into a position where you are going to have a crash." The AA in the UK said car crashes involving older drivers can sometimes lead to calls for tighter rules or even bans. Mr King said: "Many commentators use high-profile car crashes involving elderly drivers as a reason to call for bans or restrictions on older drivers. 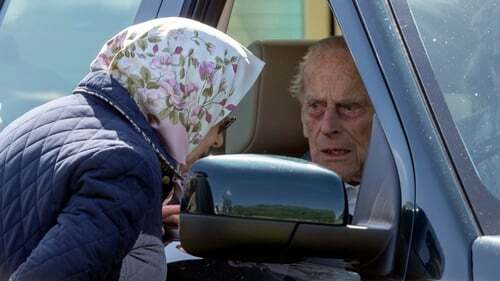 Philip is no stranger to the driving seat and has previously been seen with very famous passengers in a Range Rover. Are there many people over the age of 90 in the UK who still have a driving licence? RTÉ has contacted the Road Safety Authority and the National Driver Licence Service in relation to the Irish figures. As is force policy, officers from Norfolk Police carried out roadside breath tests on the drivers of both vehicles, which proved negative. They are now investigating the circumstances.